1. 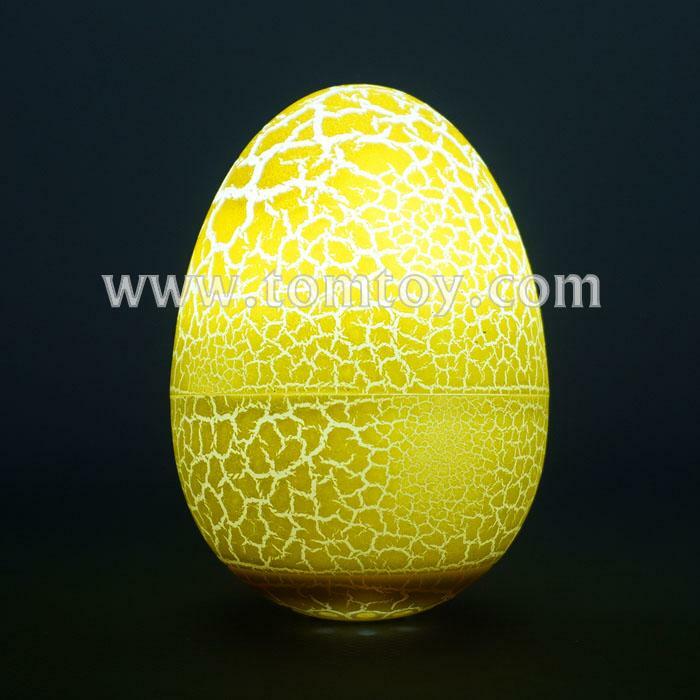 Light up dinosaur eggs is best toy and gift for Easter Day. 2. The egg can be opened and put gift and candy insides it. 3. The light will be activated by shake, and it is auto-off after 10seconds. 5. Great as party decoration in Easter Festival.